Everybody who has tasted Auntie Anne’s Pretzels knows just how good they are. Imagine selling them as a pretzel fundraiser. You can now raise the funds your school, sports team, church needs with this proven world class Auntie Anne’s pretzel fundraiser. Choose from four different pretzel products; Soft Pretzels, Pretzel Dry Mix, Cinnabon Cinnamon Buns and Pretzel Nuggets. 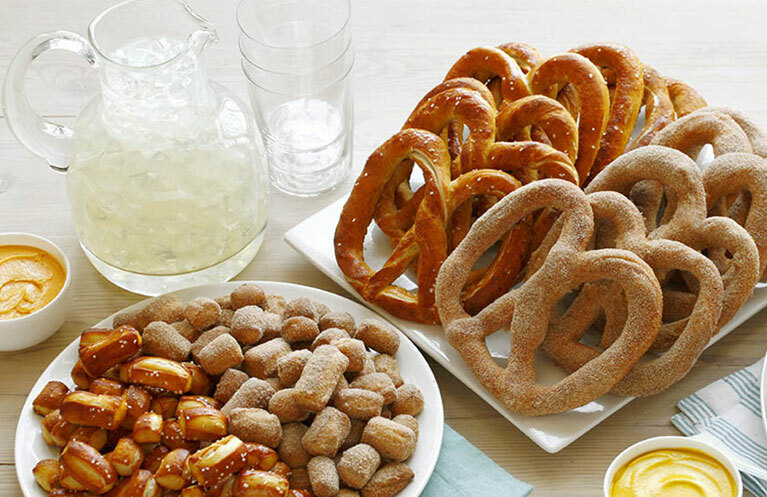 Choosing pretzel fundraisers for your next fundraiser, will result in great success, as well as satisfy many happy supporters in the process. Pretzels have been used as an emblem of the bakers since the 12th century.